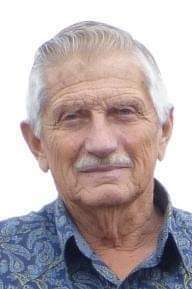 On February 08, 2019 Clifford John Swallow, age 80, passed away peacefully after a lengthy illness in his home surrounded by loving family. He is survived by his loving wife of 60 years, Lois Swallow, their two daughters Leslie Twiest, husband Brian Twiest, Laurel Yarde, husband Scott Yarde. Their five grandchildren, Amanda Caldbeck, husband Cobey Caldbeck, Lacie Hardy, Mathew Yarde and Brieana Inman, Taylor Twiest, and Asia Jackson, husband Jeremy Jackson. Great grandchildren Coyie and Clay Caldbeck, Chandler and Beckett Hardy, Jayden, Logan and Easton Yarde, Layne, Eastyn and Finley Inman, Teagan and Tripp Sweet, Carter Twiest, and one more great grand, a little girl, on the way. His brother Wesley Swallow, his sister Lois Coverdell, husband Harlan Coverdell, and brother Myron Swallow, wife Terri Swallow and many, cousins, nieces & nephews. Clifford was born in Gridley, California on August 26, 1938 to John & Opal Swallow. His family moved to Kalispell, Montana when he was three years old. Both he and Lois attended Helena Flats School where their children, grandchildren and now great grandchildren all attend. He spent the early years of his young manhood working for Jim Edmiston on his ranch. He met his high school sweetheart, Lois Carter at Flathead Highschool and they were married on July 13, 1958. They spent the early years of their marriage working on Schrock’s ranch in Pleasant Valley. Later Clifford worked for the USFS at Spotted Bear and in the Bob Marshall Wilderness. Clifford loved his time at Spotted Bear he would often talk of his time stringing phone lines and breaking trails. He knew the name of every creek on both sides of the reservoir and had traversed every mountain many times over. He would return every summer for camping trips, introducing his entire family to the trails and falls that he loved. His love of Spotted Bear has been passed on to his family who will return to this special place to fulfill his final wish. Clifford worked at Kalispell Feed and Grain and eventually established his own business Swallow’s Grain Service. He was well known and respected by the farm and ranch community and later expanded his business to include Swallow’s Irrigation Service. It was during this time that he found his true love in raising cattle. Calving season was such a special time for him, he could tell you two years later which calf went with which cow. He bought a ranch on Helena Flats & Reserve, eventually establishing Pine Loop Estates and Broken Wheel Estates. He gifted parcels of land to his children and grandchildren to keep them close, they were beneficiaries of his hard work and he was fortunate enough to see the joy that it brought them all while he was still alive. In his retirement Clifford and Lois started a tradition of weekly lunches with the entire family, they met almost every Tuesday for many years. They also enjoyed caring for their great grandchildren, Clifford would often hold as many as three at a time on his lap while they napped. He was one of the biggest supporters at all of their activities. Clifford discovered a green thumb and fed the entire family fresh produce throughout the summer. He also found a love for baking and often sent a tray of cinnamon rolls, a loaf of fresh baked bread, or a plate of almond roca and peanut brittle home with family after they visited. Clifford and Lois never tired of drives to “their special spot” on Lake MacDonald in Glacier Park. Lois would say that she fell in love with him many times over the course of their marriage, she enjoyed his wit and sense of humor which remained intact to his last day. A memorial service and reception celebrating his life will be held on Saturday February 23, 2019 at 2 PM at Darlington’s funeral home at 3408 US Hwy 2 East, Kalispell, Montana. Darlington Cremation and Burial Service is caring for Clifford and his family.